I can’t believe how amazingly colourful these trees are. 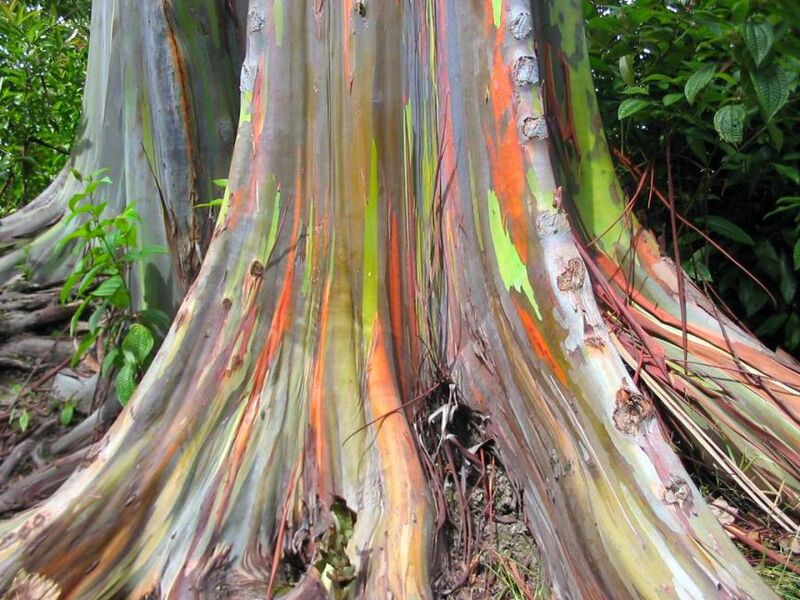 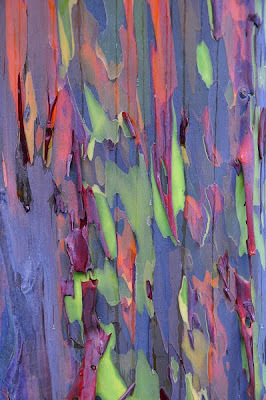 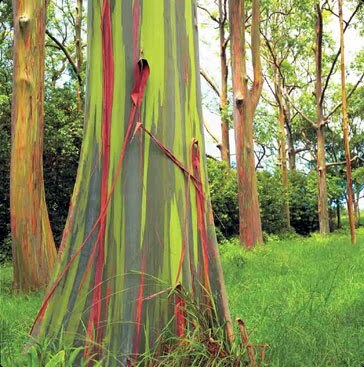 At first I thought they had been painted but it turns out that they are Eucalyptus tree known as Rainbow Eucalyptus or Rainbow Gum. Every year the trees shed it bark at various times revealing rainbow like colour underneath. First a green colour is exposed which then turns into blue, orange, purple and red as it matures.